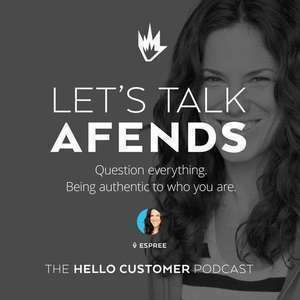 Cassy Miller-Crispe, Marketing and Customer Care at Afends. Afends has integrated its philosophy of ‘Question Everything’ into its clothing. Customers are everything and we want to make them as happy as we possibly can. Live chat is great because all the customer has to do is click a button and ask a question. They don’t have to look for an email, a contact number or a contact form- they can simply start typing and get the answer instantly. Live chat has helped Afends increase its sales, salvage relationships as well as capture customers they would not have captured otherwise. The Afends team is like a giant family and they back each other up. Each team member is usually juggling 2-3 different roles. Afends is looking to start a zine for their customers to update them and make them feel connected with the brand. The zines will be sent out with orders and also stocked in stores which carry Afends. Afends is very agile and has managed to find a great balance in becoming a large company without the usual blocks in decision-making.